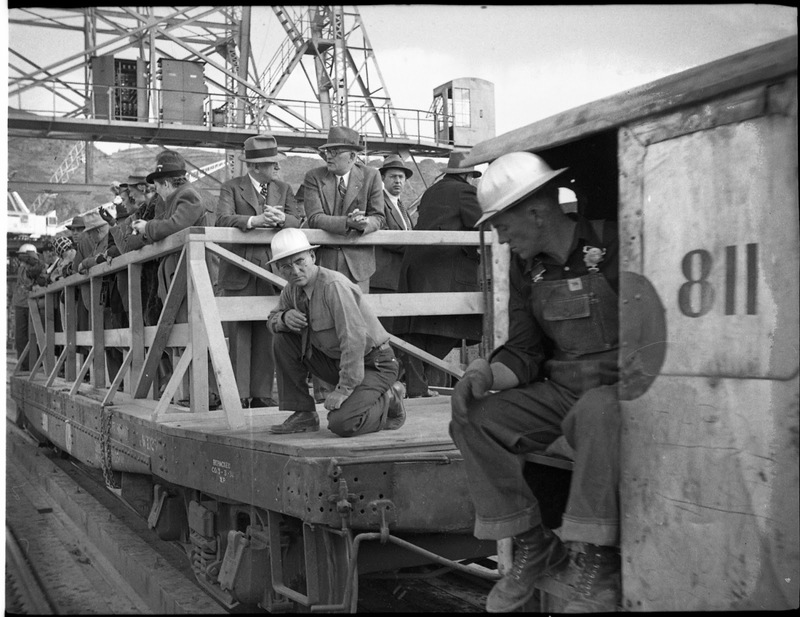 The two most important visitors on the train crossing Grand Coulee Dam on October 25, 1938, are Secretary of the Interior Harold L. Ickes and the Commissioner of Reclamation John Page along with Construction Supervisor Frank Banks. That’s Ickes below the locomotive number, and Banks to his left. 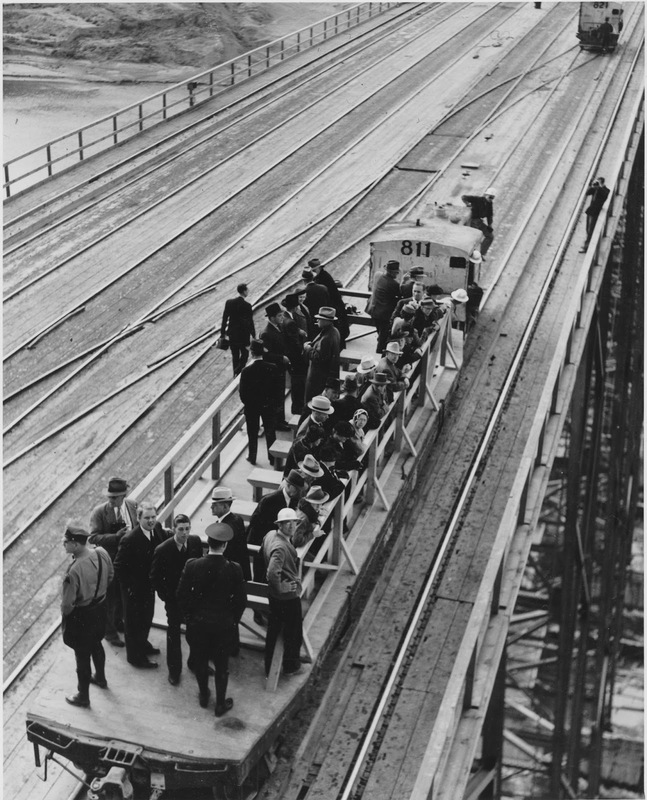 Ickes’ trip to Grand Coulee was part of a much larger trip that Ickes took with his wife Jane starting on October 16, 1938. This trip was, in part, a chance for Ickes to inspect a number of Bureau of Reclamation projects that were underway throughout the West along with Page, who was responsible for getting the projects implemented.